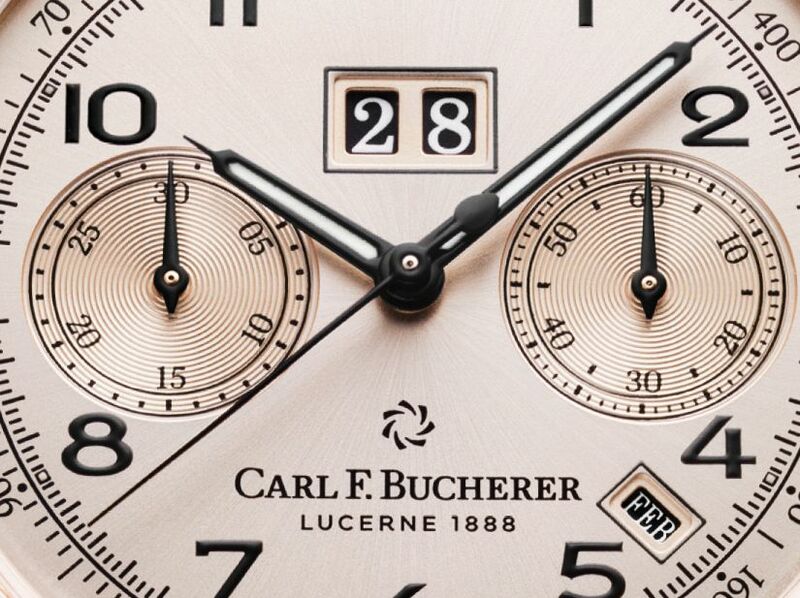 Based on a 1956 piece from the Carl F. Bucherer archives. 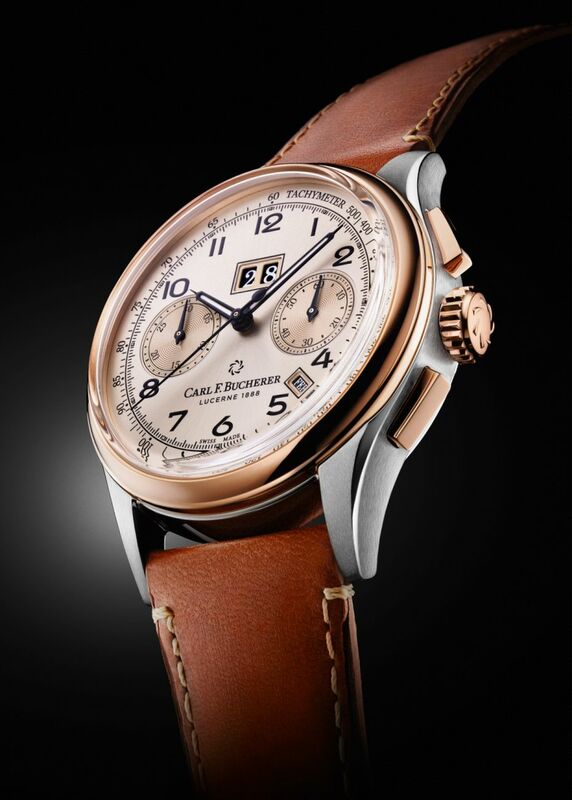 The case, in stainless steel, or in steel and 18kt rose gold, measures 41mm x 14mm. 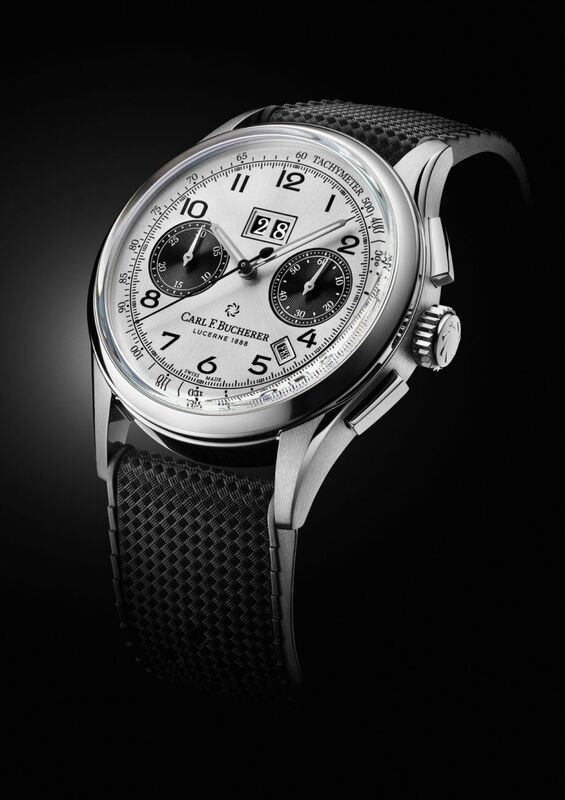 It has a double-domed AR-coated sapphire crystal, a sapphire display back, and it is water resistant to 30 meters. 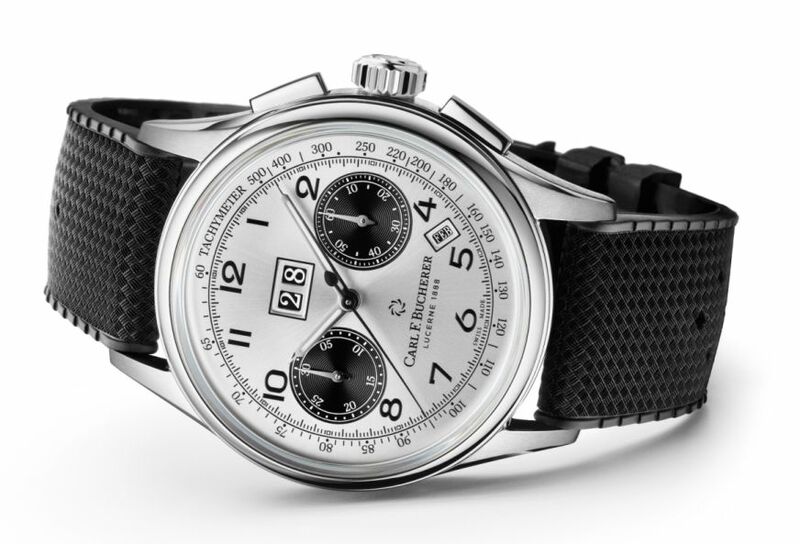 Movement is the Swiss automatic Carlf F. Bucherer caliber CFB 1972 with 47 jewels, 28,800 vph and a power reserve of 42 hours. Functions are: hours, minutes, and small seconds. 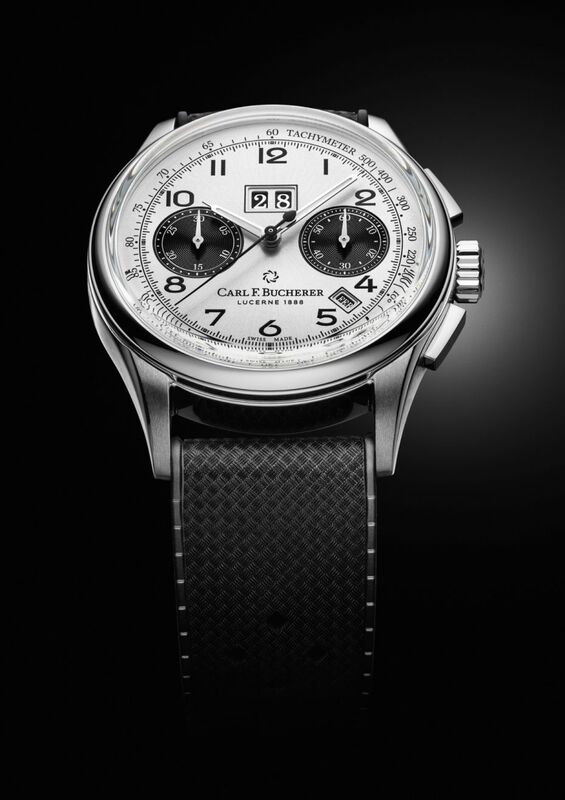 Chronograph with minutes and seconds counters, annual calendar, and large date. 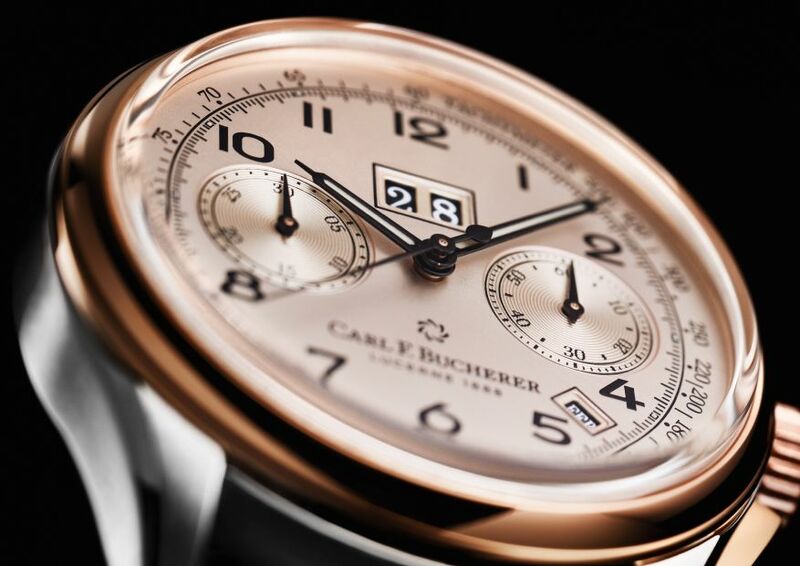 It has a rose-and-champagne or silver dial, with luminous hands and markers. 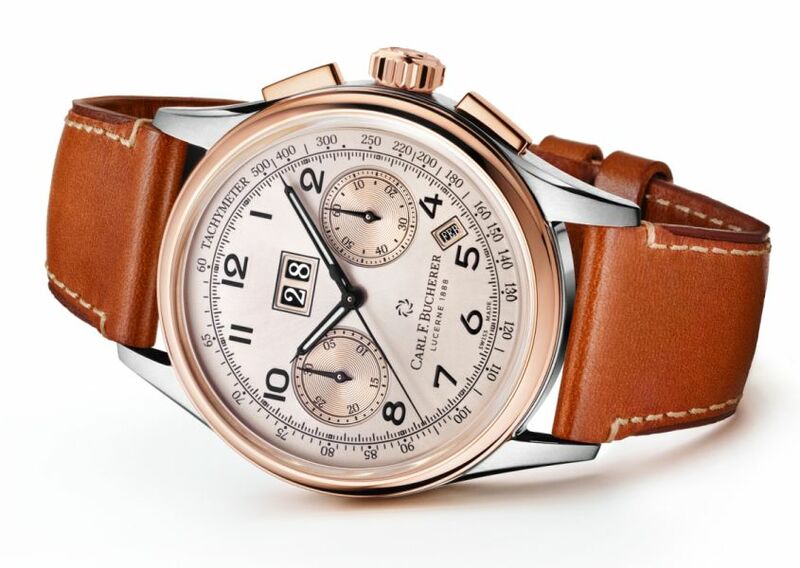 It comes in a cognac brown calfskin leather strap or a black embossed rubber strap with a steel folding buckle.